If some of your lists contains only telephone numbers, Anchor has a proven reverse phone append solution that provides you with names, complete addresses and deliverable emails for the individuals or businesses we match to the number in your record. Reverse phone append match rates vary based on many factors such as the age of the file, the quality and quantity of the data sources, and the sophistication of the matching and verification process. 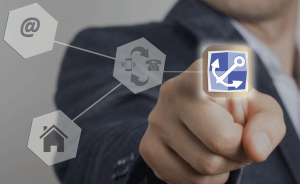 Anchor’s direct access to multiple current teleco files, including landlines, wireless and private databases, and our proprietary matching logic and technology provides our clients a distinct advantage and optimum results. In addition to our in-house sources we go out to trusted partners to gain additional matches. Does Anchor Computer perform reverse phone and reverse cell phone append? Can Anchor Computer append business records? Yes. Select information on individual processes for your records. Do I have to sign a service agreement with Anchor? Yes, a signed phone data services acknowledgement form must be received prior to processing. Anchor’s premium services can have your results in hours. Why to use Anchor’s Reverse Phone Append Service? We can build a complete record using the phone number and include an address and email. Our Anchor phone append services give you a comprehensive resource of directory assistance and compiled cell phone and telephone number listings for the U.S., Canada, and Puerto Rico. We know that speed-to-market and information accuracy are critical to your campaign’s success. Anchor’s standard and customized phone appending solutions help you quickly and cost-effectively enhance your marketing database by converging multiple data record sources. Our data solutions provide you with the most updated customer contact information to increase your business reach.We offer you extensive coverage, quality data, fast turnarounds, superior match rates and the highest degree of accuracy. Relevate Telematch is the right data partner for all your phone appending needs. Does Anchor offer any additional Phone Data Services?